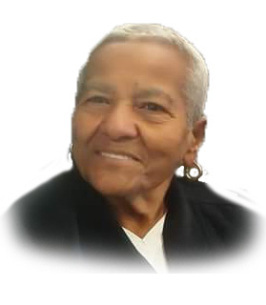 Springfield - Gloria M Rosario, 74, passed away Saturday, July 28th, 2018 at at Home surrounded by her loving family. Gloria was born in Rio Piedras, Puerto Rico on March 4th, 1944 to her parents Marcial Cantres and Oktavia Pizarro. Gloria was very much loved and she will be missed. Gloria leaves to cherish her memories,her Husband of many years, Jose Oscar Rosario, a Son ; Felix Rosario, 2 Daughters; Olga Perez and Lillian Vazquez, a Brother; Fernando Cantres, a Sister; Zoraida Cantres, 7 grandchildren 15 great grandchildren, many family and friends. Calling Hours will be on Wednesday, August 1st, 2018 from 9:00 am 11:00 am at North End Funeral Home & Cremation Services 130 Carew Street Springfield, MA 01104, followed by a burial in Oak Grove Cemetery 426 Bay Street Springfield MA. To send flowers to the family of Gloria M Rosario, please visit our Heartfelt Sympathies Store. My Deepest Condolences to you All! I am Honored and blessed to have known such a Special Woman.